Top professional bull riders invade Madison Square Garden as part of NYC's oddest but nevertheless highly anticipated sporting events of the year. The sport involves riders having to hold on to a one-ton bucking bull for eight seconds - making this event one action-packed show. Tickets are available here. The 2014 annual New York Boat Show takes place at the Javits Center this weekend. The show will see an extensive display of sea vessels: yachts, cruisers, pontoons, canoes, kayaks etc, as well as fishing gear and electronics - basically everything you will need to sail the high seas. The highlight of the show is a 51-foot luxury yacht which has a minibar and flat screen tv in the salon, and two bedrooms and a full kitchen downstairs. If only I had a cool $1.5 million to spare... Get more information and ticket details on the show here. The Feast of the Epiphany will be celebrated this year with an annual parade put on by El Museo del Barrio. This year's festivities begin at 106th Street and Lexington Avenue and travel up 3rd Avenue before finishing at 106th Street and Park. Thousands are scheduled to participate in the holiday celebrating the biblical adoration of baby Jesus by the three wise men. The procession will feature plenty of street performers, as well as camels and horses, and if lucky, maybe even an elephant if the bible story is followed to a tee. 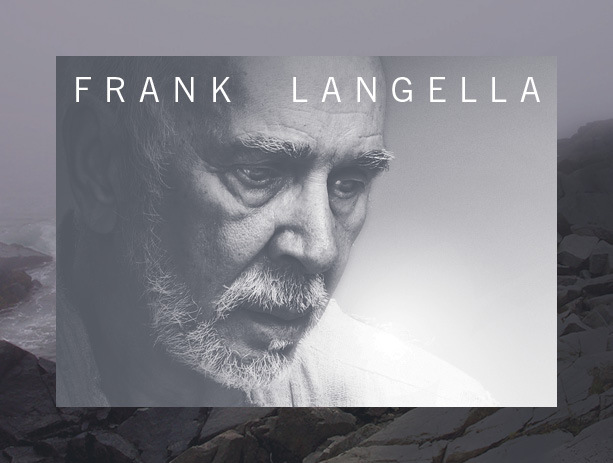 Tony-award winner Frank Langella stars as the title character in this Shakespearean performance at the Brooklyn Academy of Music . The 76-year-old was last on stage at Chichester Festival in Theater in London in November. The show comes to NYC where he portrays an ageing King Lear who decides to divide his kingdom between three daughters, favouring the one who claims to love him the most. This is a tragedy, so naturally nothing goes as expected and all does not end well. If you need further prompting, use the code 25938 for a 25% discount off the 7.30pm performances on January 7-9 and 14 -16. The 10th annual NYC Winter Jazzfest takes place over five nights this month. The festival will be presented in various venues around the city and feature over 400 musicians. This year, there will be special piano duo show featuring Robert Glasper and Jason Moran (completely unrelated side note: I couldn't help but think of this Jason Moran as I was writing this. Who else remembers Underbelly?) Tickets are reasonably-priced and are still available here, together with the full lineup. The New York Jewish Film Festival enters its 23rd year with an array of films on the Jewish experience. Besides feature films from around the world, there will also be a symposium, master class and my favourite, an exhibition on film posters and title sequences of filmmaker, Saul Bass. You might remember some of his work from the Google doodle on his birthday last year. For the festival, the Furman Gallery, across the lobby from the Walter Reade Theatre will showcase a selection of his movie posters, while a sequence of title designs will be shown on a continous loop in the Elinor Bunin Munroe Film Center. The schedule of films and other details can be found here. Favourite American schoolyard games will take centre stage at the annual Freeze Tag get together on Wall Street. Levy's has been putting on this party for nearly a decade and it's your chance to play games like Red Rover and Wolf Sheep Rock. I will be honest and say I have zero idea what these games are.. did no else play such games like the eagle-catching-chicken or what's-the-time-mr-wolf? Just me, then? Anyway, this fun event is free and will take place on the corner of Broad and Wall Streets between 1-3pm. Improv Everywhere's annual prank takes place along the NYC Subway this day. If you would like to show off your favourite undies to unsuspecting New Yorkers while still rugged up in scarfs and jackets, check out the website to RSVP and obtain meeting point information. Post-ride, warm your tushies at the after-party which usually takes place near Union Square. Personally, I will keep my pants on that day and giggle at the silliness instead! Jay Z is no longer part-owner of the Nets nor their homeground, Barclays Center but he returns to the stage he calls home following his latest album, Magna Carta...Holy Grail. S and I have attended every concert of his since we moved to the city 3.5 years ago (4 or 5 now?) and while his performances can be rather formulaic, we can't help purchase tickets yet again. Each time I pray we are graced with a Queen Bey sighting, maybe this time lucky. Care to join me? 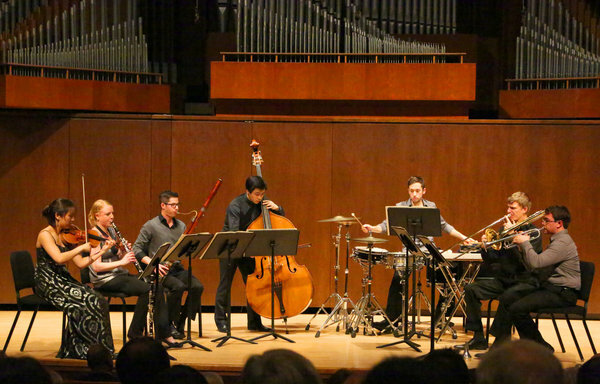 Juilliard Chamberfest is an annual performance at Lincoln Center of students of the acclaimed school who will perform a series of chamber works that they have rehearsed over the winter break. This season, the repertoire includes Wuorinen New York Notes, Ravel Introduction et Allegro and Schoenberg Verklarte Nacht, Op. 4. The performances are all free, however "tickets" will need to be obtained beforehand from Juilliard's box office. Get more details here. Brooklyn Academy of Music doesn't just cater for the theater enthusiast. 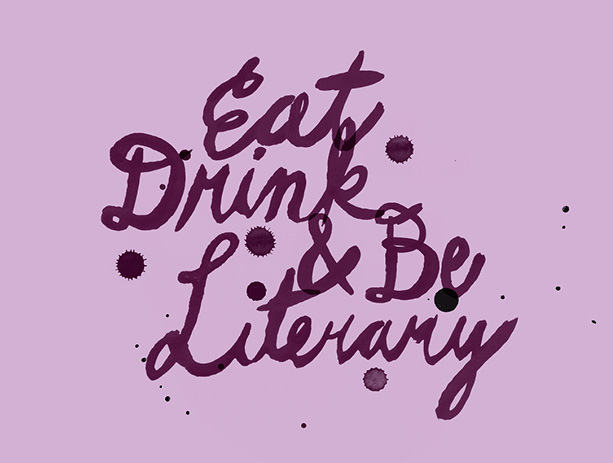 Enter the annual series for bookworms which pairs dinner and wine with a reading by a leading author. This year's event kicks off with a sold out presentation by Salman Rushdie, followed by Alice McDermott and Jeffrey Eugenides, which alas are also sold out too. The event runs until May - tickets and details of the rest of the literary lineup can be found here. Happy 2014 again. May the year bring you everything you wish for and more!